AIR MATTRESS, AIR PAD OR A FOAM MAT? A long day of hiking is coming to an end and your body is begging you for some downtime. 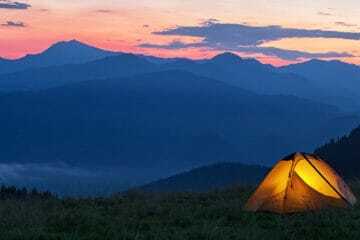 You’re taking your last steps of the day and setting up camp with whatever energy you have left, visualizing the moment when you’ll slip into your comfy sleeping bag and get some proper rest. 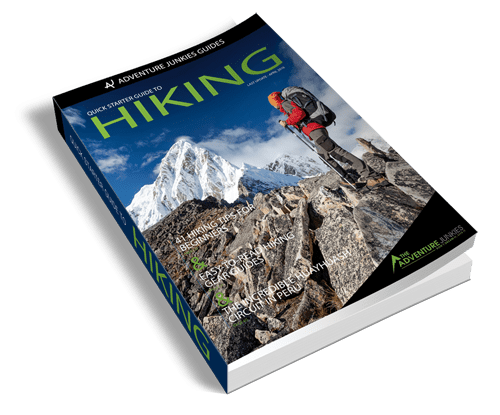 Every smart hiker knows that learning the skill of getting a good night’s sleep on the trail is not about spending a fortune on fancy brand-name sleeping pads and bags. Yes, it is a SKILL…and a crucial one, too. Knowing what’s right for YOU and the specific trail you’re on. Learning a few small tricks to help you navigate around Mother Nature’s little tests. The purpose of this article is to make a digest of sorts between the three and put it into one actionable list of tips. Before we get to the tips, let’s take a minute to make sure we get our basics right. The obvious start is the design of your sleeping arrangement. Let’s make it really simple – a full air mattress is only an option if you’re driving to your local trail and car-camping. Sure, it’s comfortable, but it’s also bulky, heavy and more prone to punctures. 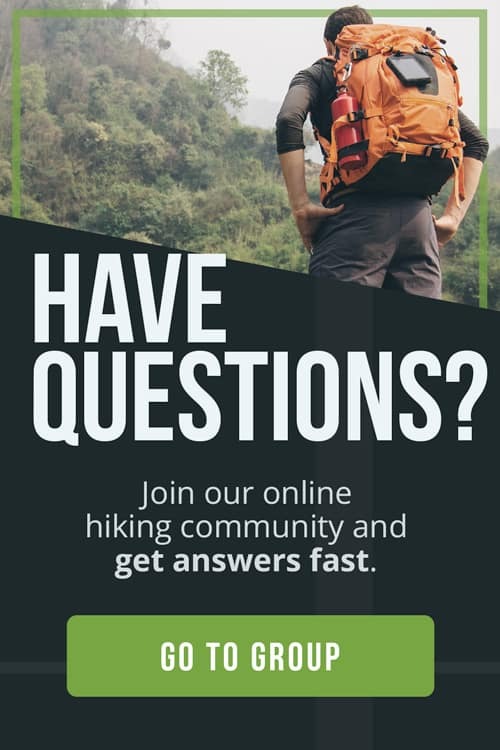 It’s not a hiker’s choice. That leaves us with sleeping pads and foam mats – a foam mat costs next to nothing, but on its own, that’s also what you can use it for – next to nothing. But pair a foam mat with a good sleeping pad and you have your cozy nest for the night. Place a foam mat under your air pad. It will provide extra comfort while protecting the pad from punctures. 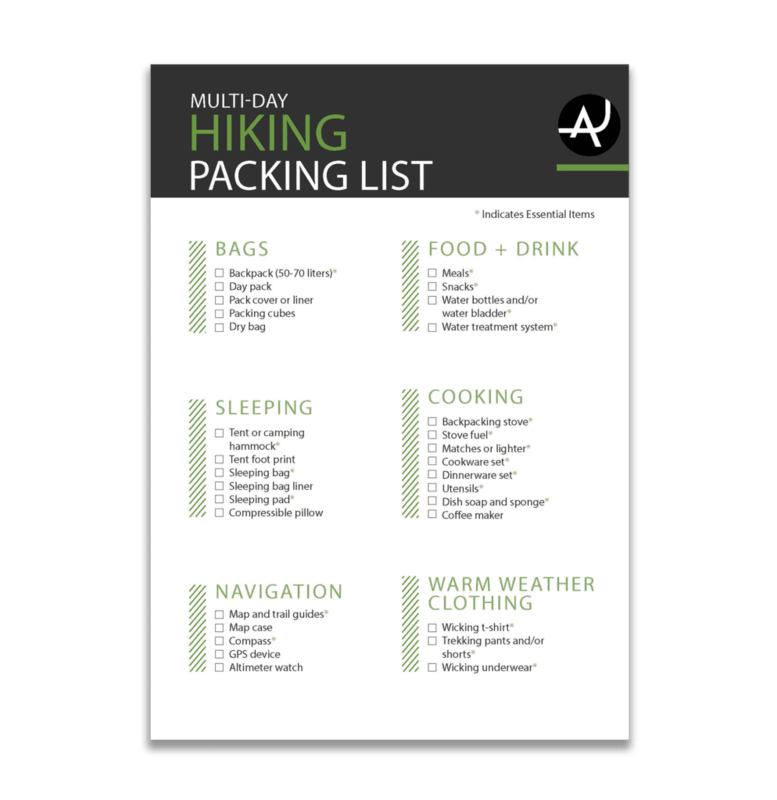 This will be the recipe for most hikers out there. Modern air pads pack small and the foam mat can be conveniently strapped to the side of your backpack. 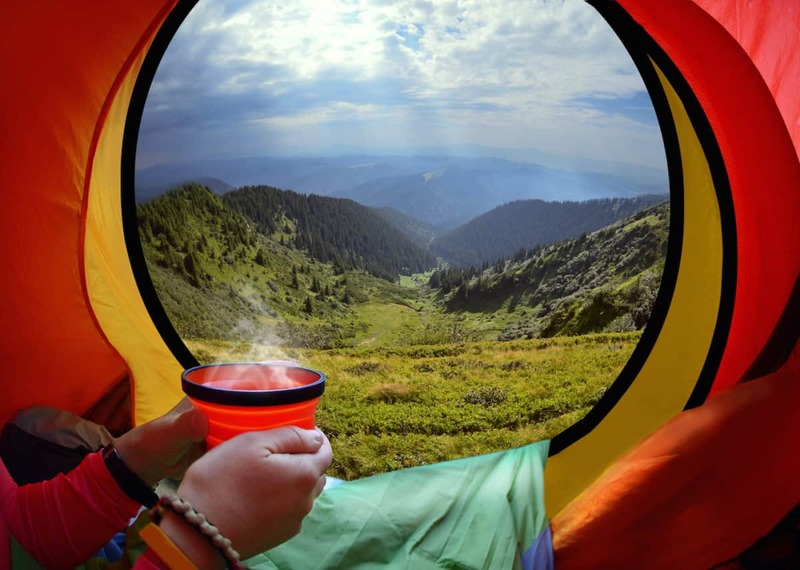 The discussion in the hiking community about down vs. synthetics for a sleeping bag has been going on for so long now that the noise has drowned the basic facts. Warmth-to-weight ratio of down is much higher than any synthetic material used for sleeping bags today. It’s also the more comfortable option. Down loses the mentioned thermal properties if it’s wet. So, should you avoid down? Absolutely not. If you don’t expect cold and if you don’t mind the few extra ounces, of course you can go with synthetics. 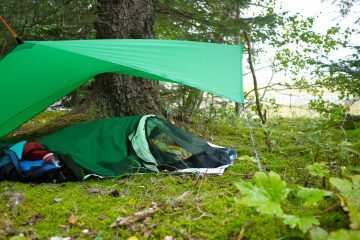 But if you do need to keep warm on a harsh trail, then it all comes down to looking after your gear and keeping it dry. The best way to keep your gear dry. It’s a myth that only a rain cover can do the trick. In fact, most seasoned hikers are not fans of the rain cover and use the good old trash compactor bag. It costs next to nothing, it’s less of a hassle and it’s more effective. Now that we have our basics right, let’s get to those tips we promised – the small things that can make all the difference. On the trail, you are the furnace. Your body is the source of heat. Your sleeping bags and pads are merely devices that allow you to keep that heat trapped. Your last meal of the day should be robust and fatty. It makes it harder for your body to break the nutrients down and that produces more heat. It’s also by far the most caloric-dense food, so it’s a win-win. You’ll rarely have a chance to eat a pork chop on the trail, so a nice chunk of butter in your cocoa will do the trick. 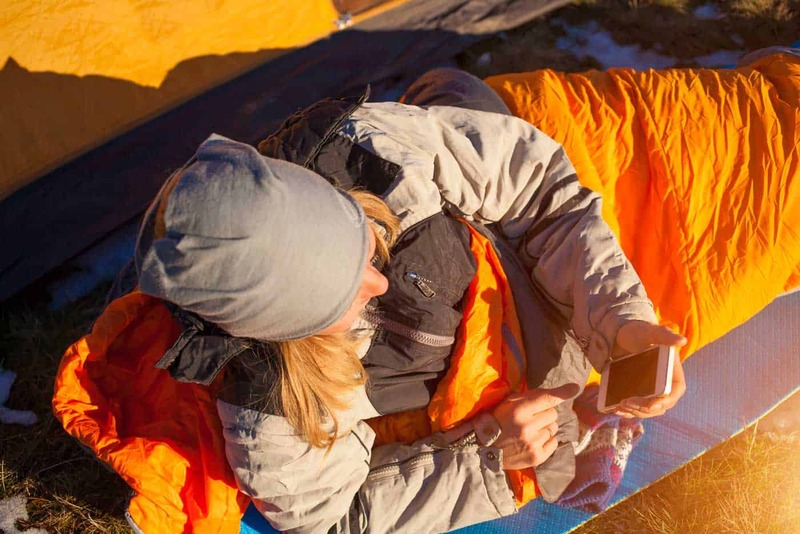 A sleeping bag relies on the air trapped between the fibers or down pieces for its insulation properties. After being squeezed into a corner of your backpack under cans of beans and nuts, it looses some of its insulating abilities. No reason to worry – just make it a rule of thumb to take your bag out as soon as you set camp. This will allow it to expand, let the air back in and regain its properties. Make sure you are completely dry before hitting the sack. What we are talking about here is not changing your pants if they are soaking wet. I am talking about that damp feeling of sweat after a long hike. If at all possible, slip into a fresh set of clothes before getting to sleep – top to bottom, underwear to wind jacket. The last thing you want is clothes using your body heat to dry and trapping that moisture inside your sleeping bag. It’s a good idea to drink something warm and soothing before bedtime, like that warm cocoa and butter mix we mentioned. However, a hot drink will get you sweating again. All of us know that dreaded buzzing that appears out of nowhere just as you were drifting away. There are very few more annoying things in this world. When choosing a place to set up camp, go dry and high. Stay away from any swamps, streams or ponds. Go odorless with your cosmetics – any perfume mixed with your body smell is a mosquito magnet. If you are using a bug repellant, choose a water-resistant one. Your sweat lowers the effectiveness of regular bug-repellants. Go old-school – Bugs hate the smell of sage for some reason. Pack a branch or two into your backpack and throw one into the campfire. Then sit back and enjoy the silence. Although it’s a common and enjoyed ritual for a lot of hikers, alcohol before bedtime is not a smart idea. It might make you feel warm for 10 minutes or so, bit it will continue to interfere with how your body regulates temperature for the rest of the night. This one might sound counterintuitive but it will make sense in a second. You might have settled for the night but your blood didn’t. It’s still rushing through your veins keeping you warm. When you finally lay down, allow 10 minutes for your blood to settle. It’s only then that you can reliably assess if you need to add or shed layers. It wouldn’t be any fun if hiking was only about walking around while staying in our comfort zone at all times. You’ll rarely have everything you need, so it’s important to learn to think like a hiker and make the best use of what you have. If both your inflatable pillow and air pad are synthetic, there’s bound to be some slippage and you’ll find it hard to get comfortable. Slip one t-shirt onto the pad and wrap the pillow into another. It makes all the difference. If you feel warm but your legs are cold, use a shirt as an extra layer just for your legs. You’ll not only warm them up, but you’ll have a warm and ready-to-go piece of clothing the next morning.